The following conditions apply and are deemed to be incorporated in all contracts for the sale and supply of John Salim Photographic services and materials. Photographic material is accepted on the understanding that the client holds the copyright © or has full permission of the copyright holder to reproduce the supplied material and assumes full liability for any resulting violation of copyright. John Salim Photographic reserve the right to refuse any material we may consider copyright protected. The client warrants that all material left for processing does not contain images that are defamatory or obscene. Film left for processing will receive every reasonable care and attention, but in the unlikely event of loss or damage, we will be limited to the cost of replacing the equivalent amount of unexposed material and processing. The client should insure material of commercial or exceptional value against loss or damage. Flammable materials such as cellulose nitrate based films are not handled here ( these are expressly banned from being sent through the Royal Mail postal system ). Our aim is to produce work to the highest technical standards, this is achieved by constant testing and close process control monitoring. Please remember exact colour and contrast matching is not always actually possible (due to certain inks and dyes). Some cropping may result in copying and duplicating through optical means. Please state if the original image aspect ratio should be maintained ( differences exist between film and paper sizes ) – please see ‘aspect ratios‘ page. 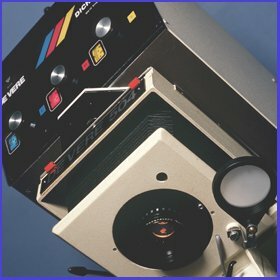 Colour reversal films are processed through Kodak formulated Professional E-6 chemistry. Black & White negative films are processed using Kodak Professional XTOL developer. Invoices to be settled within 30 days from date of production. Payments can be made by cash, cheque ( made payable to ‘John Salim ONLY’ ) or online using BACS and PayPal. A 25% deposit is required for large orders. Websites linked through this site are provided for information, help and convenience. John Salim Photographic does not endorse them. Company logos and trademarks fully acknowledged and are copyright to their respective owners. Delivery: Orders are always returned using a ‘signed for’ and tracked service. Royal Mail ‘Recorded Delivery’ from £2.80 / small orders up to ‘large letter’ size ( max 2.5cm thick ). Royal Mail ‘Recorded Delivery’ from £3.50 / orders up to ‘small parcel’ size. Royal Mail ‘Recorded Delivery’ from £4.50 / orders up to ‘small parcel’ size. Royal Mail ‘Special Delivery’ from £8.00 / next day, valuable orders. International postal rates are quoted for on an individual basis. Overseas Import duties and Tax payments ( if applicable ) are the responsibility of the client. * Compensation cover is provided by Royal Mail. Proof of Posting is always obtained from the Post Office when returning your work. We cannot accept responsibility for items lost or damaged in the post. This website and content is copyright John Salim Photographic 2002 – 2018.